The new Mill Street Student Accommodation, located in Dublin’s city centre, was officially opened in August. 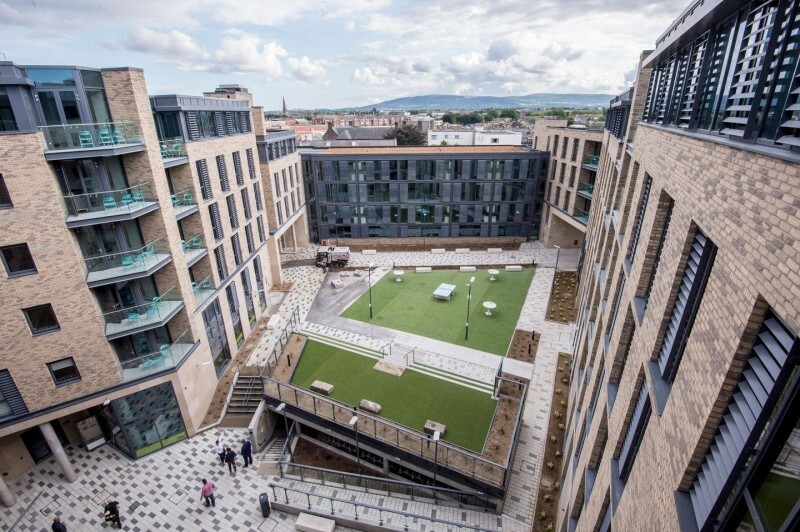 The €41 million development by Global Student Accommodation is located within Dublin’s Liberties with easy access to major university sites such as Trinity College Dublin, Dublin Institute of Technology, Dublin Business School and the Royal College of Surgeons. There are also plenty of amenities, shops, cafes and bars located within walking distance, with good connections to public transport. The development comprises of 400 Beds of accommodation, over 50 Clusters of varying sizes (3 Bed to 8 Bed) and single occupancy Studios. ‘Ensuite Cluster Rooms’ feature a double bed, ensuite and shared kitchen facilities. For students who require more privacy and space there are ‘deluxe studio apartments’ which have their own kitchen. Ancillary student accommodation facilities including social space, gym, laundry facilities and a management office are provided as part of the development. J.V. Tierney & Company provided full Mechanical and Electrical design services for the project, as well as energy rating and sustainable design. The development was designed to achieve a BREEAM rating of ‘Very Good’. Congratulations to everyone that was involved in this project!